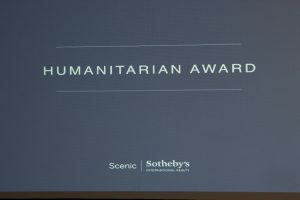 Scenic Sotheby’s International Realty recently hosted their Annual Awards Ceremony. 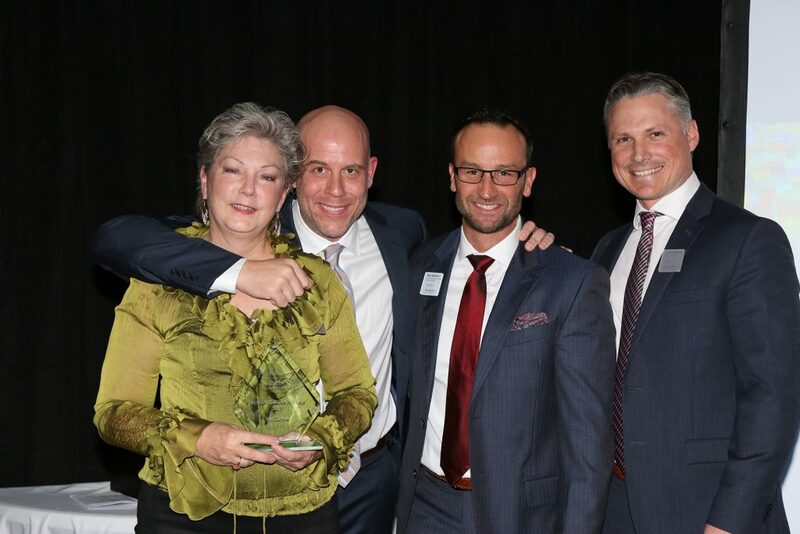 Pat Carlyle, Broker Associate, took home the most meaningful prize of all – The Humanitarian of the Year Award. Pat’s work with the Emerald Coast Children’s Advocacy Center was so profound that it warranted recognition at the highest level. Pat moved to South Walton 15 years ago and began working with Destin Real Estate Company (now Scenic Sotheby’s International Realty) soon after. She began her work with the Emerald Coast Children’s Advocacy Center a few years back when she realized child protective services were desperately needed in our community. The Emerald Coast Children’s Advocacy Centers in Walton and Okaloosa Counties house a multidisciplinary team of child protection personnel, prosecutors, law enforcement, DCF, therapists, staff and volunteers. They provide a child-safe environment where an abused child can tell their story once to all necessary parties, instead of reliving it over and over. The goal of the non-profit is to bring prosecution against the offender and provide counseling for victims as long as they need it. The original location is in Niceville and the second location, built in 2016 and privately funded, is in Defuniak Springs. These two locations serve all children of Walton and Okaloosa counties. 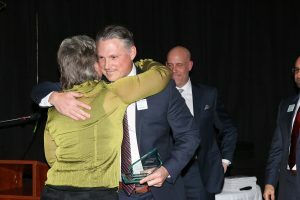 Pat became a board member in 2016 and began working on grants that would allow the organization to bring education about child abuse and sexual abuse into the school systems of Walton and Okaloosa counties. These two counties were two of only three left in the state that didn’t provide this education. The program called “Child Safety Matters” now implements this much-needed education to over 1500 students per year. In 2017, Emerald Coast Children’s Advocacy Center was awarded the Northwest Florida Impact 100 grant for $102,000 to deliver Child Safety Matters to principals, teachers and children in Okaloosa and Walton Counties. It’s people like Pat and organizations like the Emerald Coast Children’s Advocacy Center that make our community a better place. We are proud of Pat and the work she has done and we know she will continue to make us proud and makes others’ lives better. Donate to Emerald Coast Children’s Advocacy Center HERE. © 2019 Emerald Coast Association of Realtors MLS. All rights reserved. IDX information is provided exclusively for consumers' personal, non-commercial use and may not be used for any purpose other than to identify prospective properties consumers may be interested in purchasing. Information is deemed reliable but is not guaranteed accurate by the MLS or Scenic Sotheby's International Realty. Data last updated: 2019-04-24T22:03:52.097. © 2019 Central Panhandle Association of Realtors MLS. All rights reserved. IDX information is provided exclusively for consumers' personal, non-commercial use and may not be used for any purpose other than to identify prospective properties consumers may be interested in purchasing. Information is deemed reliable but is not guaranteed accurate by the MLS or Scenic Sotheby's International Realty. Data last updated: 2019-04-24T21:05:19.357.